Firefighters are everyday heroes - rushing into danger when all instincts tell others to rush out. In tribute to brave firefighters, this piece shows a courageous youngster in the midst of a call. Amazing in detail, you'll notice the bright red finish on the hydrant and water gushing out of the hose - what a sight! Bisque porcelain figurine. 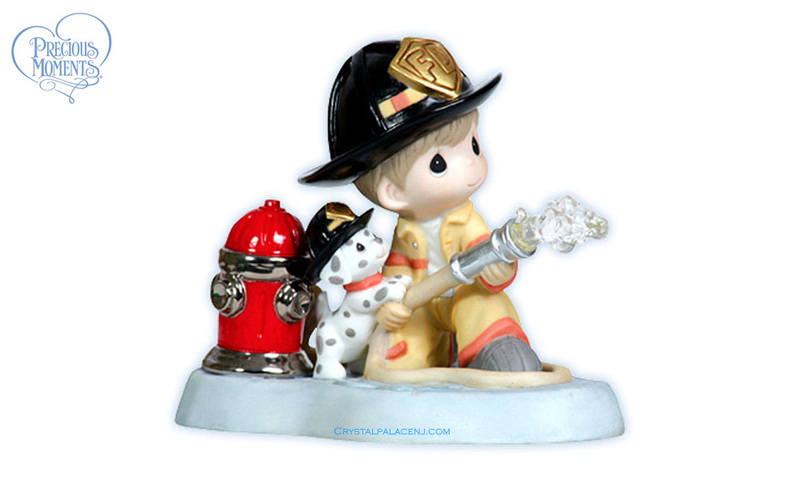 4" H.
Item#: 112014 - Height: 4"